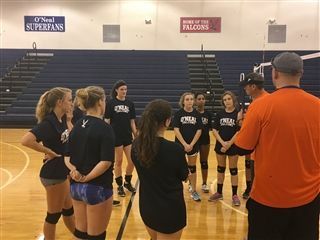 The clinic introduced the girls not only to the ACS coaches, but also their practice style, terminology, and much, much more. 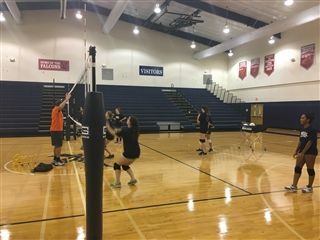 The girls worked on passing skills, communication, and hitting. All in all, the high energy and fast paced clinic ended the week on a fantastic note. 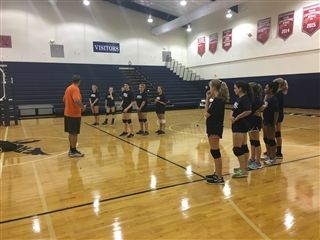 There were smiles abundant, and we can't thank ACS Volleyball enough for coming by and putting on such a wonderful clinic. The Falcon's head on the road next week for two away contests. Tuesday, the Falcon's travel to Trinity of Chapel Hill/Durham and then Grace of Raleigh on Thursday. 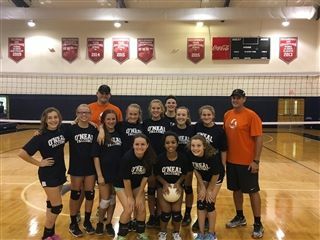 Looking forward to a great week of volleyball ahead.